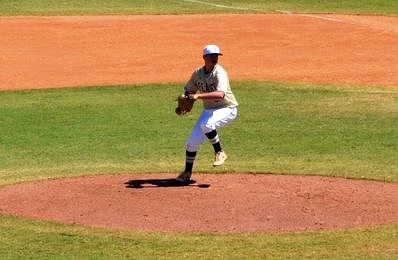 Plant’s Gabe Ricker struck out three and walked one in a five-inning no-hitter on Tuesday. The Lennard Longhorns are one host for this year’s Saladino Tournament, but Tuesday afternoon Gabe Ricker helped eliminate any home field advantage by tossing a no-hitter to lead visting Plant to a 10-0 win over the host Longhorns. In other action at the site, Strawberry Crest defeated East Bay 5-2 earlier in the day. As is the case every year in this tough county tournament, there were many big upsets throughout the day. The King Lions defeated Plant City 6-1 to give the Raiders their first loss of the season, Durant defeated Alonso 4-1 and the Riverview Sharks won 4-3 over Jefferson. Sickles scored two runs in the top of the ninth to win 3-1 over Newsome in another of the day’s most exciting contests. With Ricker dealing on the mound, the Panthers got the bats going right away to back him up. Plant scored all the runs it needed with two in the first, scoring in every inning to eventually walk off via the mercy rule. Senior Connor Scott had a monster day at the plate, and he helped get things started by lacing an RBI triple in the top of the first. Mike Haydak drew a lead-off walk and Scott followed with a shot to right field that got his team on the board with all the runs it ultimately needed. Chase Sanguinetti then drove Scott in with a fielder’s choice ground out. Scott added a double and scored again, going 2-for-3 with a walk on the day. Matthew Coker was also 2-for-3 with two runs and Carson Richards was 1-for-1 and had two RBIs. The Longhorns (3-5) came into Tuesday’s action fresh off an exciting walk-off win in extra innings in Saturday’s tournament opener against East Bay, and they had been playing some tight and competitive baseball of late. 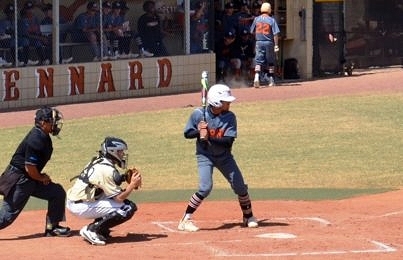 Alek Mangiel and Yazael Nunez have helped pace an offense that came into Tuesday’s action averaging six runs per game. But against Ricker the bats were unable to get it going. Ricker only finished with three strikeouts, yet was efficient in getting the Longhorns to swing at his pitches. He needed just 52 pitches to get through his five innings of work. Ricker is now 2-0 and has yet to allow a run in nine innings of work this season.